This is a short introductory video to the course. This first lesson will focus on place value up to 9,999. Students will be able to write numbers out in word form. This is a review of the practice worksheet for lesson 1. This second lesson will focus on being able to identify the ten-thousands, and hundred-thousands place and write the numbers in word form. This lesson is a review of the practice worksheet for lesson 2. This lesson focuses on how to perform column addition up to 4 digits. This lesson focuses on the answers to the practice worksheet. This lesson will focus on how to subtract numbers up to four digits. This lesson focuses on how to multiply 2 and 3-digit numbers. This lesson will review the answers to the practice worksheet. This lesson focuses on how to divide three, four, and five-digit numbers by one-digit divisors. This is a review of the practice worksheet. This lesson focuses on how to divide three, four, and five-digit numbers by two-digit divisors. This lesson will go over the answers to the practice worksheet. This lesson focuses on place value up to ten-thousandths. Review video of the decimal place value worksheet. In this lesson, students will understand how to put decimals in order from least to greatest. Review of the ordering decimals practice worksheet. This lesson focuses on rounding decimals to the nearest tenth, hundredth, or thousandth. Review of the rounding decimals worksheet. This lesson focuses on how to add and subtract decimals. Review video of the answers to the practice worksheet. This lesson focuses on how to multiply decimals together. Answers to the multiplying decimals worksheet. This lesson focuses on dividing decimals and whole numbers. This lesson provides answers to the decimal division practice worksheet. This lesson focuses on how to calculate the perimeter and area of two-dimensional figures. This video reviews the correct answers to the practice worksheet. This lesson focuses on the millimeter, centimeter, meter, and kilometer and how to measure those units. This lesson will focus on the answers to the practice worksheet. This lesson covers how to convert between mm, cm, m, and km. This lesson is a review of the metric conversion practice worksheet. In this lesson, students will learn how to measure objects to the nearest fraction of an inch. This lesson reviews the answers to the practice assignment. In this lesson, students will be able to convert a given length to a different unit. This lesson reviews the answers to the practice worksheet. This lesson focuses on how to convert fractions and mixed numbers into decimals. This lesson shows students how to determine how to put fractions in order according to size. This lesson reviews the answers to the worksheet. This lesson will focus on the process of simplifying fractions by finding the greatest common factor. This video lesson reviews the answers to the practice worksheet. In this lesson, you will explore how to add and subtract fractions with like and unlike denominators. A video review of the answers to the practice worksheet. This lesson focuses on how to multiply fractions and then convert to them to simplest form. This lesson is a review of the practice worksheet. This lesson focuses on dividing fractions and converting improper fractions to mixed numbers. Review lesson of the practice worksheet. This lesson will focus on the definition of probability and how to find probability of certain events. This lesson reviews the answers to the probability worksheet. This lesson discusses rays, line segments, lines and angles, the basic building blocks of Geometry. This lesson discusses the answers to the practice worksheet. This lesson focuses on the characteristics of different polygons. This lesson discusses the answers to the practice worksheet on polygons. This video discusses the answers to the review worksheet. This lesson covers the various types of 3-dimensional figures. This lesson covers nets of various polyhedrons as well as their numbers of faces, vertices, and edges. This lesson covers how to calculate the volume of rectangular and triangular prisms. Grade 5 Math Course. This complete math course covers the major points taught across most schools in North America and prepares students for important topics which will be learned during Grade 6. The course consists of 31 content rich video-lessons, exercises, worksheets, practice review videos, quizzes, and additional materials and resources which parents will have immediate access to upon purchasing this course. This course is unique among its counterparts because it places a greater emphasis on rational thinking, real-life application of the concepts being taught, and introduces most concepts using a hands-on practical approach. Students taking this course will not see concepts such as fractions, decimals or area as needless topics that are mostly abstract in nature and of no practical application. Several examples will be given with different scenarios that will ensure mastery of the content. Upon course completion, students will be prepared to move on to increasingly challenging 6th and 7th grade math concepts, and to learn how to analyze, rationalize and apply problem-resolution methods to different situations depending on the specific circumstances they come across. This video-course is primarily intended for Grade 5 students (typically ages 10+) and Grade 6 students who may need to review previously taught concepts. The difficulty level of this course is medium to medium-hard during the last 10 lessons. 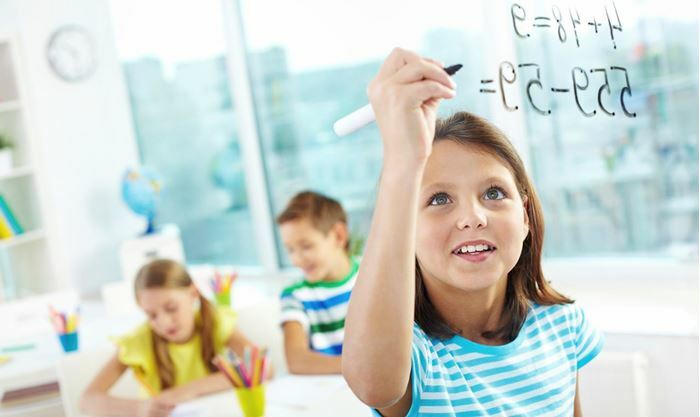 Students taking this course are expected to have satisfactorily understood and mastered the most important topics taught in a standard Grade 4 Math Course. I believe strongly in online education. We owe it to our students to utilize all the resources available to us to provide an individualized learning experience. As a Technology Integration Specialist, I strive to push my faculty members to "think outside the box" by tweaking their lessons to incorporate modern pedagogy. This document contains various videos and interactive websites to enhance the learning of the various topics presented in this course. This document contains all the answers to the quiz questions by course topic.